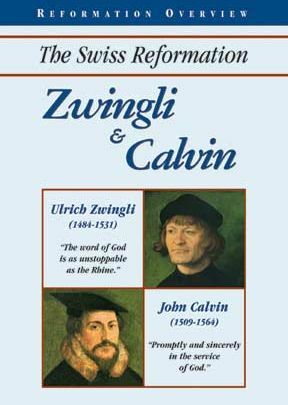 This program covers the 16th century Swiss Reformation, its key centers of Zurich and Geneva, and its central leaders, Zwingli and Calvin—two theologians who led tumultuous lives. Zwingli questioned major teachings of the church and instituted sweeping reforms. He sought to apply the Word of God for the transformation of civic and church life. Calvin laid the foundation that made Geneva a unique international center. He wanted only the quiet life of a scholar but was thrust into a critical role in Reformation and theological leadership. This program covers the 16th century Swiss Reformation, its key centers of Zurich and Geneva, and its central leaders, Zwingli and Calvin—two theologians who led tumultuous lives. Zwingli questioned major teachings of the church and instituted sweeping reforms. He sought to apply the Word of God for the transformation of civic and church life. Calvin laid the foundation that made Geneva a unique international center. He wanted only the quiet life of a scholar but was thrust into a critical role in Reformation and theological leadership. Fullscreen. This is an outstanding video for anyone who wants Reformation history to come alive. We used this in an adult Sunday School class and it worked great. The video does a great job of presenting a fair and personal approach to both characters. Instead of dry historical facts, Zwingli and Calvin are presented as flesh and blood men. You won't go wrong ordering and using this product. Presented well. Very short which means you do not really get to know what each man's doctrines are. But for all its sparseness, it has the best information on Calvin and predestination and Servetus than many longer videos. 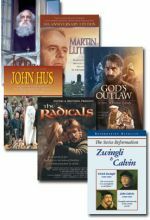 The Reformation Overview package is worth getting, the short videos are on the longer video so you get two for one.